The Quasar Sapphire 2Blue™ is two palm-sized laser units with absolutely astounding performance. These two lasers produce an impressive range of graphic effects and can be joined by a simple 3 metre signal jack cable or run Independently which can cover the entire venue. All this comes in a robust and stylish custom fit flightcase for easy trasportation. Ideal for mobile DJs, static pubs and clubs where space is at a premium. Considering purchasing the Lanta Quasar Sapphire 2Blue 2 Compact 150mW Blue Lasers? Have questions? Ask people who've recently bought one. 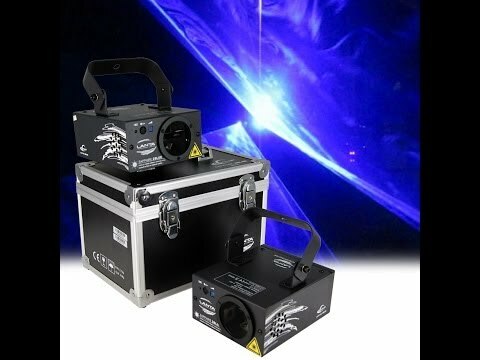 Do you own the Lanta Quasar Sapphire 2Blue 2 Compact 150mW Blue Lasers? Why not write a review based on your experience with it. Seen a video for Lanta Quasar Sapphire 2Blue 2 Compact 150mW Blue Lasers online or have you own video? 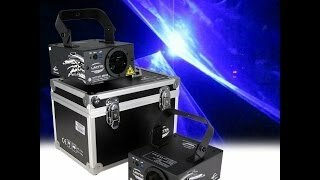 Check out Lanta Quasar Sapphire 2Blue 2 Compact 150mW Blue Lasers on DJkit.com!